Even the simplest of things can gum up the works sometimes. It’s no secret that here in the US there is an infrastructure shortage, but did you know that Nigeria has an infrastructure problem of its own? 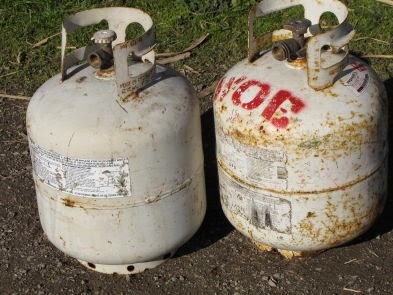 It seems that a lack of gas cylinders may bring the LNG market to a standstill. That’s right, it seems like a simple problem to solve, but with not enough individual cylinders for people to haul their gas off in, the whole industry may very well come to a halt. Basil Ogbuanu, National President of the Nigerian Association of LPG Marketers, says that unless the government steps in to solve the problem, the country will not be able to keep supplies stable. Already Nigeria is below average for Africa. “We all know that you can use gallons to buy kerosene, but you need cylinders to buy cooking gas. These cylinders are not enough in the country,” says Ogbuanu. “The companies producing cylinders locally have all folded up due to unfavorable government policies and inadequate power supply. Ogbuanu is asking the government to offer LNG to its people at the lower domestic rate rather than the international price. “The issue of domestic pricing is another factor militating against increased consumption pattern of cooking gas in Nigeria although we recorded an increase in the consumption rate last year. This is because Nigerians consumed 170,000 metric tonnes of cooking gas as of December 2013,” he said. Ogbuanu is also urging the government to use the current 20 percent kerosene subsidy to help supply its citizens with the much needed cylinders.